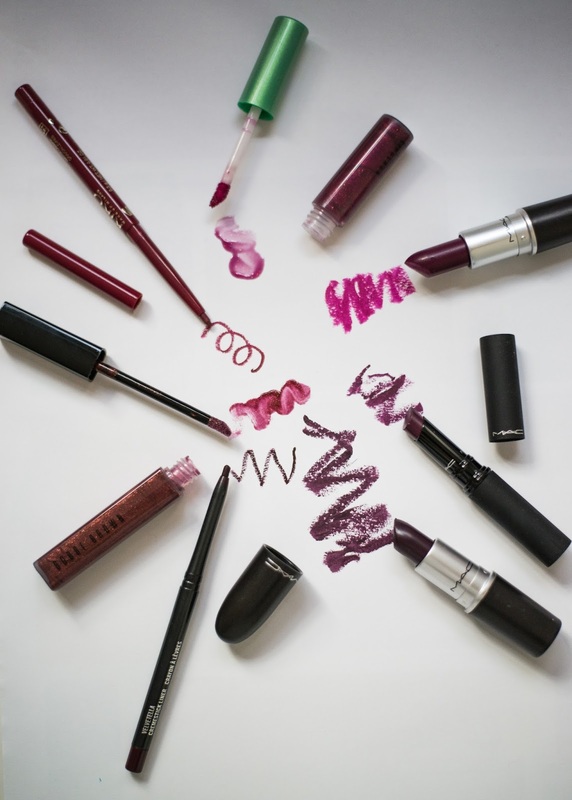 Would You Try A Dark Lip? I'm a major fan of clean, natural and alluring beauty looks, but I have long admired fellow chicks that can rock a dark lip. While I don't think this is an everyday look, I can so see this being a, shall we say, once-in-awhile look for Autumn...you know, with sky high turtleneck jumpers, dark jeans and messy bun hair. Of course I write this while I am sitting here wearing a singlet and denim cutoff shorts. 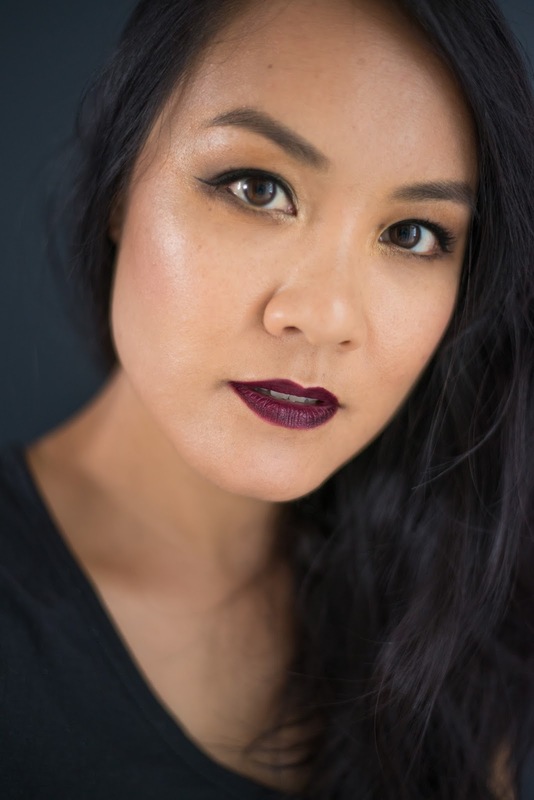 After having a major fan girl moment, watching Sharon Farrell's Goth makeup tutorial, I whipped out my untouched MAC Cyber lipstick and tried the look for myself. I was recently asked why I like makeup so much and what's wrong with being in the corporate world... and why don't I want to do something that uses my brain. I immediately felt a bit offended and defensive at the "use my brain" comment as it totally demeans the makeup creative industry and all the individuals that works so hard in it. Creativity is something that just can't be taught. PERIOD. It's an extension of yourself, requiring a total different level of brain power. Did I sound a tad angry just there? perhaps... but I will defend anyone with a creative spirit to the nth degree. I feel there's just so much more satisfaction with having the choice to dabble between the two worlds; creative and business. Don't get me wrong though, I'm not anti-corporate world. There is a good reason why the beauty industry is a 60 something billion dollar industry. Capital growth fuelled by a partnership between individuals working in corporate offices, and make up artists, hair stylists and beauty specialists in their respective creative fields. Not to mention, there's something so good about making others feel powerful and confident with even the slight touch of makeup. And I think it boils down to that magic sense of fulfilment I feel, being part of an industry that makes others feel good and empowered. 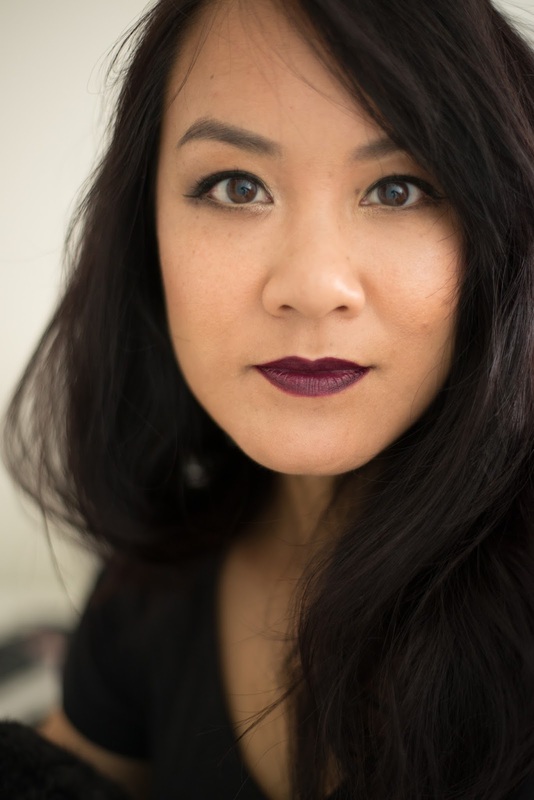 Putting on this dark lip, though not for everyone, made me feel, well, rather powerful and confident... even if it was just for an hour or two at home. It's the same thing with my passion for food; really delicious food can make you feel so happy. And then fashion; great fitting, stylish clothes, can make someone walk with so much confidence in their stride. 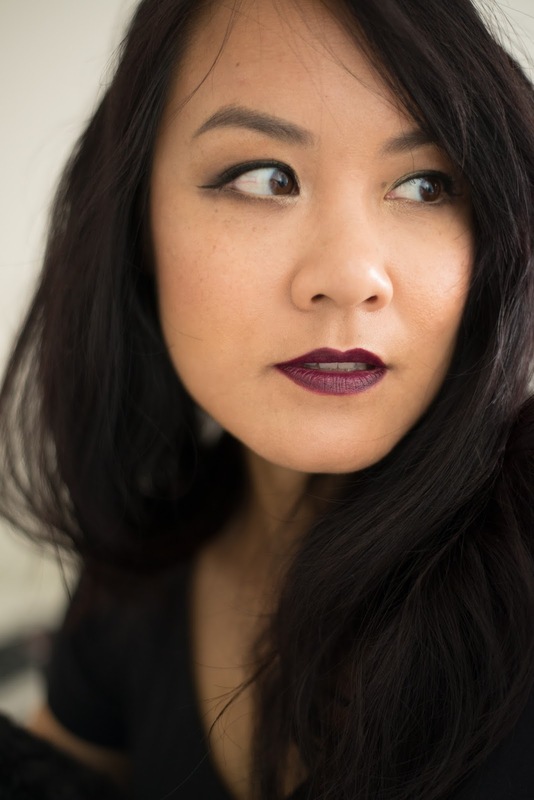 Now my friends, would you try a dark lip? Even a sheer dark lipgloss? 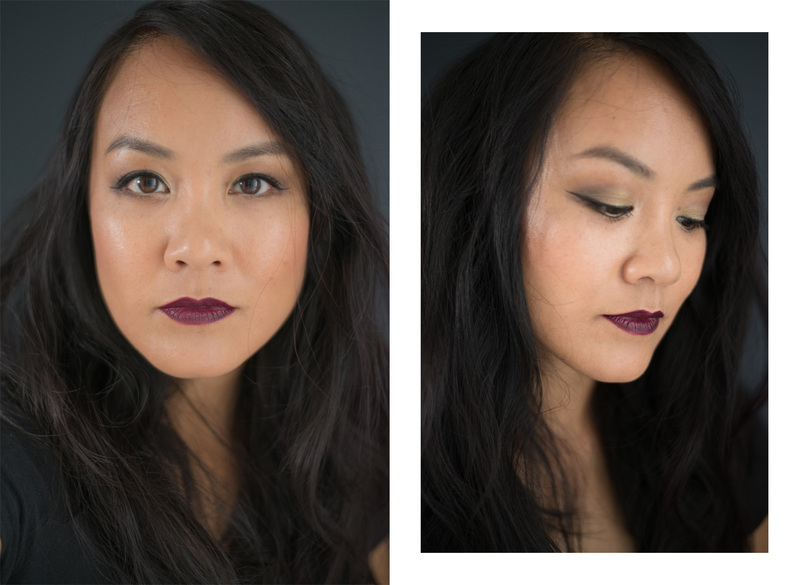 Perhaps you already love rocking a dark lip everyday? Double snaps to you! Either way, you should definitely click on over to Sharon's tutorial here, she is so talented and does just a fabulous job with her tutorials, all while staying real with a good dose of wit. My version is probably a paired down version of her look, with most of the focus being on the lips, and I changed some makeup products with what I had on hand, more suited to my skin tone and features. I've listed these items below if you're interested! Foundation: NARS Sheer Glow in "Barcelona"
Correct & Conceal: Bobbi Brown Eye Brightener in "Medium to Dark" (similar here) + Bobbi Brown Creamy Concealer in "Natural Tan"
Cheek: Canmake Powder Cheeks in "PW28"
Contour: MAC Sculpting Powder in "Bone Beige"
Lipstick: MAC Lipstick in "Cyber"